Not all flowers are created equal. At least not from a sales standpoint. Some flowers are much more popular with the general public than others. These flowers are more likely to show up in bouquets for all sorts of gift-giving occasions — from Mother’s Day to Valentine’s Day to birthdays. Gerbera daisies feature bright, eye-catching flowers often compared to sunflowers. They are smaller than sunflowers, however, and come in a variety of colors, such as pink, yellow, white and red. 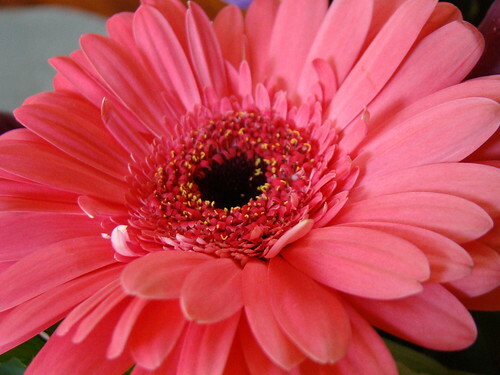 This variety in color is one of the reasons gerbera daisies are so popular. According to The Daily Beast, they were the most purchased flower for Mother’s Day in 2011, with over 113,000,000 stems sold, which added up to over $34 million in sales. Lilies are another flower frequently found in bouquets and also often sold by themselves. Like gerbera daisies, lilies are available in a wide range of colors. White, pink, orange, red and yellow are all commonly found in flower shops and have eye-catching petals and stamens. As a result, they are often the main focus of a bouquet, such as with ProFlowers’ Stargazer Lilies bouquet. Roses are a classic choice and have stood the test of time as a popular flower for bouquets and arrangements. They sell especially well during Valentine’s Day, when, according to “The Brownsville Herald,” about 110 million are sold each year. The Daily Beast reports that approximately 83 million were sold during Mother’s Day in 2011.Red roses are most popular, largely due to Valentine’s Day, for which red roses are still the standard. Tulips are another bouquet staple, especially during the Easter season. They are appropriate all year long as well. For instance, they were the third top selling type of flower on Mother’s Day 2011, with over 140 million sold. According to SixWise, they signify charity and love. They are also seen as a sign of spring and new life. Orchids are an elegant flower, popular as the focus of a bouquet or sold individually. They are available in a number of colors, both solid and multi-colored, such as pink, purple, white, blue and orange. They were the ninth top selling flowers in 2011 for Mother’s Day.